This is a Sponsored post written by me on behalf of Michelina’s for SocialSpark. All opinions are 100% mine. Now that I’m back to work, I, all too often, take lunch at my desk while trying to get about twenty others things done during that short amount of time. For lunch I want something tasty and requires very little preparation. 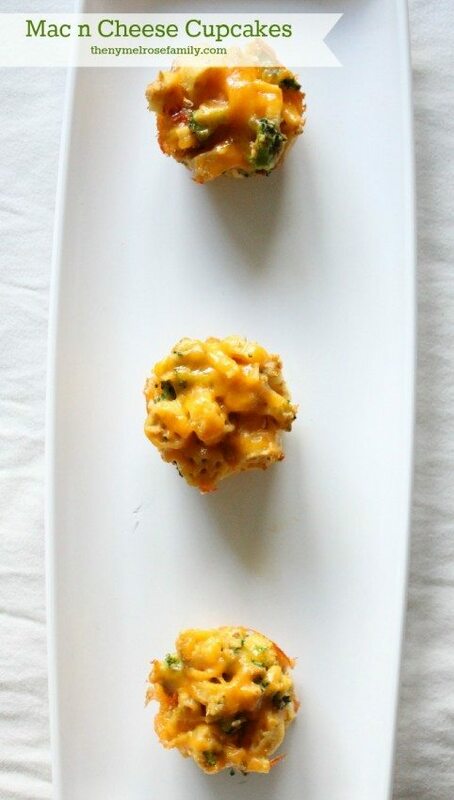 Luckily, these Mac n Cheese Cupcakes are perfect to make ahead and then pop in the microwave for a couple of seconds for a perfect working lunch. It doesn’t get much simpler than this. 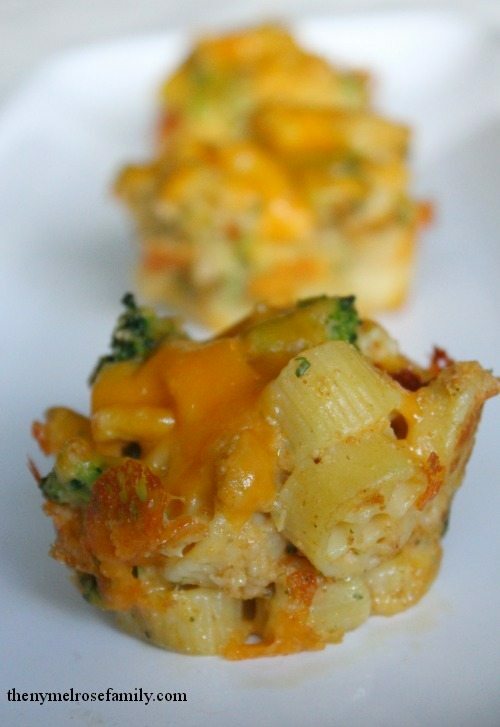 These Mac n Cheese Cupcakes take about fifteen minutes to make over the weekend or the night before thanks to Michelina’s Wheels & Cheese frozen meal. Michelina’s makes it simple to make any meal, your meal. Make It Your Michelina’s doesn’t get much simpler than what I’ve done with a normal meal of mac n cheese. 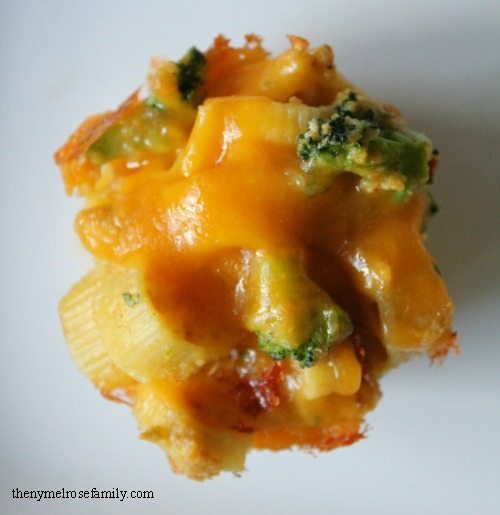 I added some frozen broccoli, bread crumbs and an egg white to create my Mac N Cheese Cupcake. The finishing touch for these Mac n Cheese Cupcakes were the cheddar cheese that were thrown on top during the last couple minutes of baking. It added a nice cheesy topping that even Riley was able to get behind. These little babies will definitely be rotated into my weekly lunch rotation, especially since one cupcake was the perfect portion size. Plus, since Michelina’s meals are so affordable and this one box made four muffins, I’m cutting costs at a crazy rate. A perfect individual portion size of Mac n Cheese with broccoli. 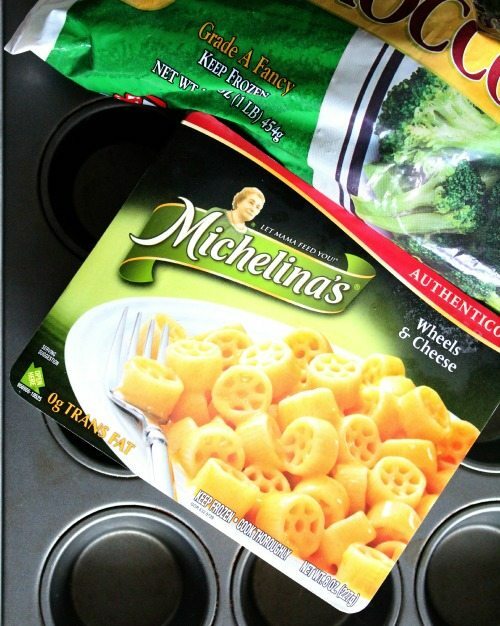 Cook Michelina’s Wheels & Cheese Frozen Meal on high for 3 minutes in the microwave. Mix together bread crumbs, egg white and chopped broccoli. Add the cooked pasta to the bread crumb mixture and stir. Add the cheese mixture in with the pasta and bread crumb mixture. In a greased cupcake tin drop 2 tablespoon sizes of the mixture. Bake for 7 minutes at 350 and then sprinkle cheddar cheese on top of each cupcake and bake for another 3 minutes. What a great idea Jenny! So easy and super kid friendly! I love these. My kids could make them by themselves! Great, fun recipe. Did they stick to the pan? Even when I grease pans, everything always sticks. And I have non stick on top of that! Too cute and looks delicious. I believe food tastes better in bite size portions! Love these! Such a quick and fun recipe! I’ve been MIA so much lately that I missed your site revamp….it looks great!!! These look delicious!! !